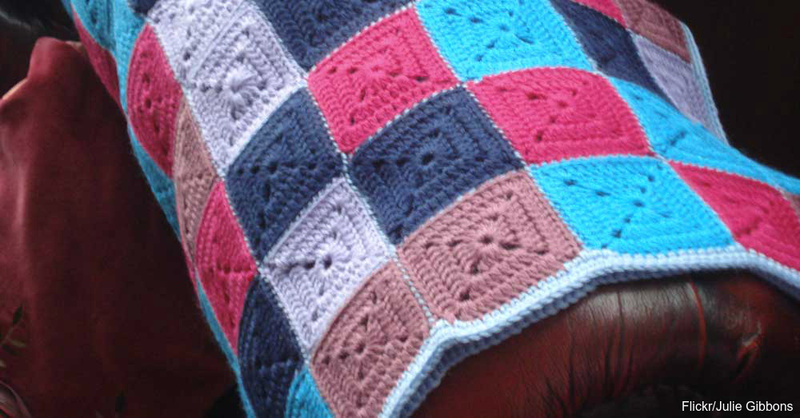 If you love the charm and comfort of patchwork designs, but would rather crochet than quilt, these patterns are for you. 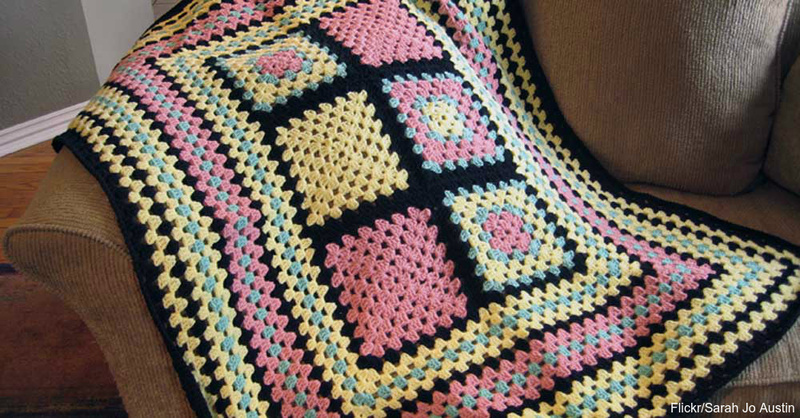 Stitch a granny-style patchwork afghan, or craft a stylish handbag from simple crochet squares. 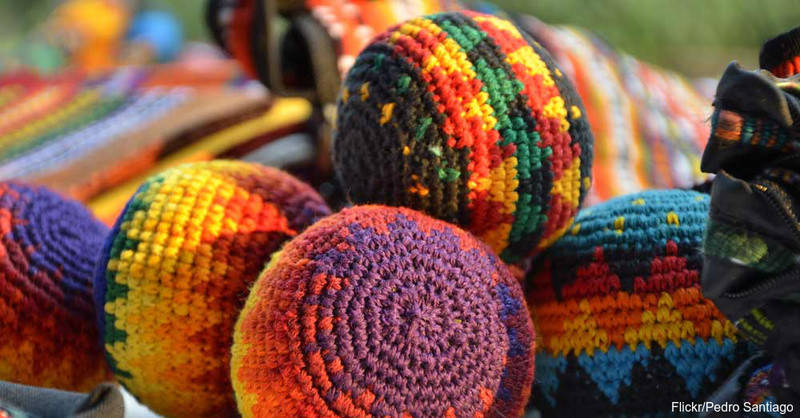 These projects may even inspire your own one-of-a-kind patchwork crochet creations. Circles and chevron patterns add contemporary flair to this modern take on traditional patchwork blankets. Classic granny squares in soothing shades of gray and mocha come to life beside modern patterns and vibrant pink hues in this beautiful, easy-to-make throw. 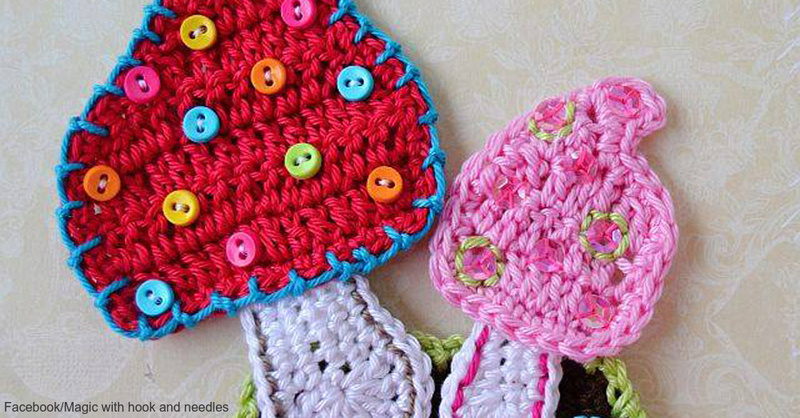 Add color and character to sweaters, hats and scarves with this cute and vibrant mushroom applique. The whimsical embellishment isn’t hard to make, and it’s simple to customize for a variety of applications. This easy pattern has a traditional patchwork design featuring simple squares in three contrasting colors. The afghan is worked continuously, changing colors as noted in the pattern, instead of joining together individually crocheted squares. Craft a cute and colorful toy for your cat or your two-year-old with this creative idea. It’s a great way to get rid of leftover yarn, and it’s a great take-and-make project if you like to crochet on the go.